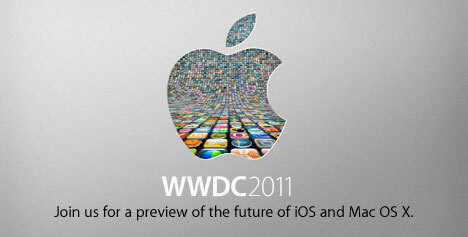 This years WorldWideDeveloperConference WWDC 2011 sould out within 8 hours. So, bad luck if you’ve been on a transatlanic flight at that time. Today, the lucky ones of the iOS & Mac developer community, who managed to get a ticked this year, gather at the Moscone West Center in San Francisco. Probably, Apple will share the videos of all of the WWDC sessions for free with their registered iOS & Mac developers, like they did last year. And even if the Cupertino guys won’t stream Steve Jobs keynote live, we’ll get a video stream short after the event. For real live coverage we can rely on the all those people blogging from the keynote. The keynote begins at 10:00 AM PST (07:00 PM CET) and there are a lot of things to cover: The next version of Mac OS X called Lion, the next version of iOS for iPhones & iPads and Apples new cloud service iCould. (Liveblog technology: UStream (not via iOS) & ? iOS-friendly engadget cms ? (Liveblog technology: ScribbleLive, disabled for iOS).